High-Density Polyethylene plastic is considered to be the best material for storing food, water, beverages, vitamins, supplements, herbs, teas, and body products. 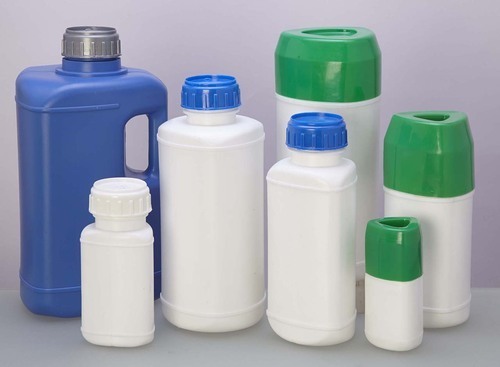 HDPE plastic is approved for storing food and beverages by the US Food and Drug Administration. Our rectangular, HDPE plastic bottle maintains the purity of products stored and packaged in it and does not leach harmful chemicals. Maharashtra Metal Works Private Ltd is into the manufacturing of Aerosol Cans, Round containers, Rectangle Containers, HDPE Bottles, and Containers & Customised cans since the past 35 years, based on our clients & customers requirement. These cans are completely recyclable and environmentally friendly doing our bit to nature, society and the mother Earth. This also adds to the corporate social responsibility of the company’s we work for, adding value to every brand. We like to be well aware of the market trend. We have the state of the art facility due to which we are able to manufacture high-quality Metal Cans. “Quality is our Priority” and that’s what we stand by. We aim to make our “ Quality as our Priority “ to sustain in the competitive market. We work with Leading MNC’s, Glocal companies, Startup companies in order to accelerate growth in the industry & our company by promoting the "Art of Business" in the industry .”WE CAN YOUR BRAND” and “WE ALWAYS WILL“.
" WE CAN YOUR BRAND "